Most successful direct-marketing promotions have something in common: Their lead is a real story about a real person or situation that makes the reader want to know more. Storytelling cuts through the glut of information surrounding us. 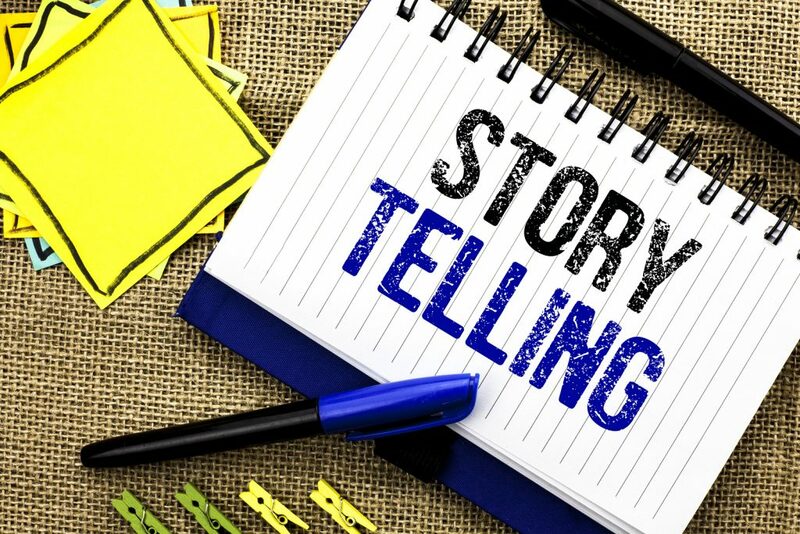 Instead of being bombarded with facts, names, figures, and other chunks of information that dull your prospect’s interest, a story lead makes what you’re trying to say seem personal and exciting. Which lead would you say is more intriguing? The one rule you must adhere to when you use a story like this is you must tell the truth. Exceptions are stories that you clearly label as based on imagination by saying something like “Imagine if…” as a qualifier. 1) Is relevant to the audience — As a web writer, you’re aware that you need to know your prospect and what they are interested in. If they are an investor who only pursues safe investments, you wouldn’t want to use a story about someone who made their fortunes trading stock options. If they are an interior decorator looking for Art Moderne products, you wouldn’t feature a story about someone who collects Art Deco. Keep it laser-focused on what your reader is looking for. I reside in North Brunswick, NJ, with my wife, Lynn, and daughters Kasey, Jaclyn, and Shelly. We also have a 110 pound, lovable Rottie named Leo that keeps us on our toes! When we're not hard at work we enjoy spending weekends at our bungalow down the Jersey shore, or take extended trips to Walt Disney World as members of the Disney Vacation Club. For kicks, I draw on my dominant "right-brain" and play guitar in classic rock and blues bands, act for local plays and independent productions, and enjoy writing creative fiction. I'm a published author in short fiction and stage plays and a graduate of a local community college's Commercial Writer's Certificate Program. After graduating from the program I was selected as an instructor and taught "Science Fiction, Fantasy & Horror" writing for 8 years. I enjoy many fine relationships I made with my students to this day.